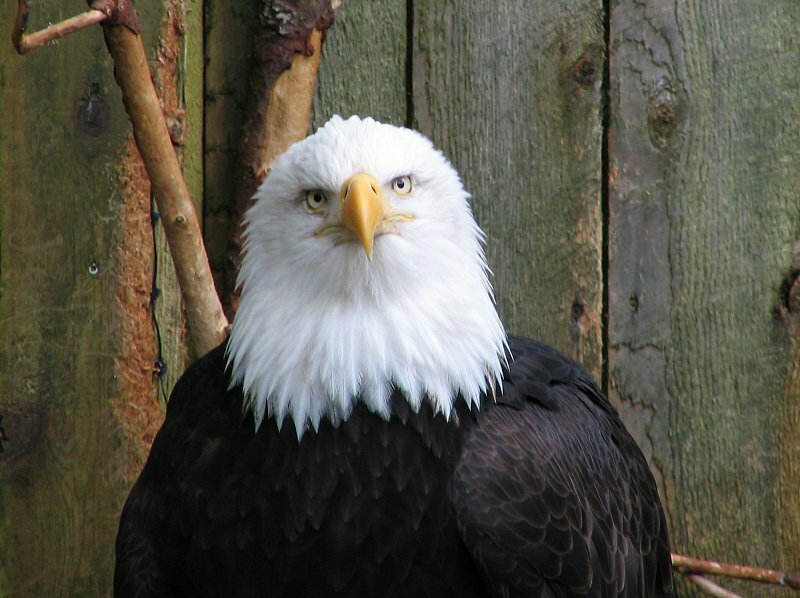 The Deer Mountain facility offers the best opportunity to see bald eagles close up. A pair of flightless eagles (due to old injuries received in the wild) seem comfortable here, and there is neither wire nor glass separating visitors from them. This photograph is © 2005 by Cathy Small, and is not to be copied without express permission.